Thousands of people from the border areas came out to protest against the negative impact that a hard Brexit will have on the region last Saturday , March 30. A number of protests were held in locations along the border including Blacklion/Belcoo and Croke Park (prior to the division 4 league final). 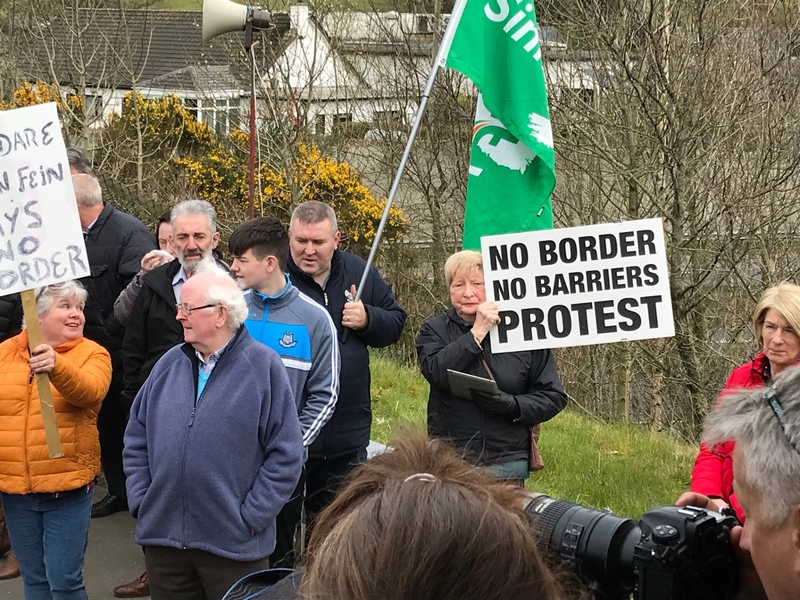 In a statement issued following the protest, Border Communities Against Brexit (BCAB) noted: “The staggering mess that hard Brexit supporting politicians have managed to deliver in the past week with the failure of the Tory government supported by the DUP, means we have more uncertainty. “Europe look on bewildered at the lack of cross-party consensus and the continual political infighting with horror. The group concluded by stating that no dilution of the Backstop would be accepted.